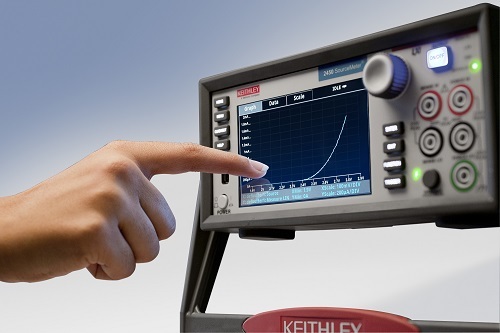 Keithley 2400 Series SMU instruments offer four-quadrant precision voltage and current source/load coupled with measurement now on a touchscreen user interface. These instruments can simultaneously source and measure current from 10 fA to 10 A pulse and/or voltage from 100nV to 200V, for 1000W pulse and 100W DC total power. Make measurements at a whole new level. SMU instruments capture more-detailed device behavior and can characterize the device in extended ranges, so you can understand your device better, enhance its quality and improve its performance. Intuitive UI. Smart and fast. 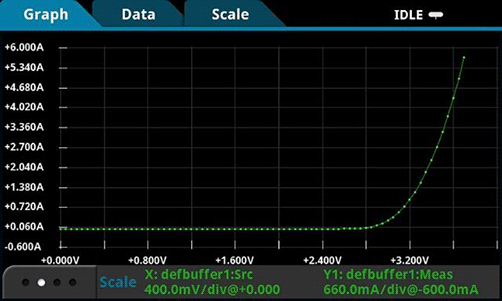 Measure, see and discover more on the intuitive, multi-touch user interface – from raw readings to histograms to time-based and voltage/current-based waveforms—and get to your answers more quickly. Unmatched versatility and return on investment. SMU instruments bring versatility to a new level, for today’s applications and tomorrow’s innovation. 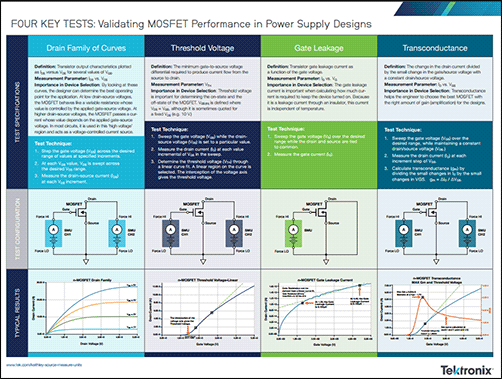 Configure yours as a precision power supply, 6½-digit DMM, current source, voltage source, picoammeter, electronic load and more. 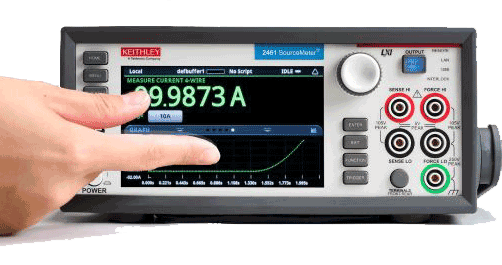 Source Measure Unit Tutorial Learning Center brings together a wealth of information on Keithley SMUs and other products in an all-in-one, convenient location. We provide links to a wide variety of content related to the applications and industries we serve. With its integrated source and measure, voltage or current, precision and accuracy on an intuitive, graphical touchscreen display, a Series 2400 Graphical SMU instrument is ideal for capturing drain family of curves, threshold voltage, gate leakage and transconductance. 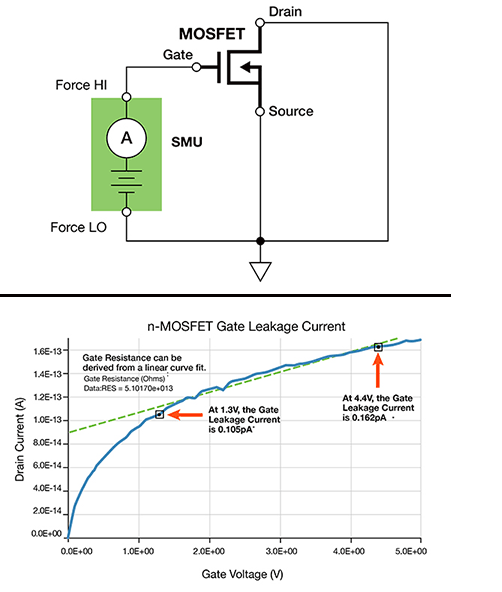 Use a SMU instrument's unique pulsing, voltage, or current capabilities to minimize self-heating on HBLEDs and reduce the negative impact on measurement accuracy, as well as to eliminate the worries about damaging the device under test. 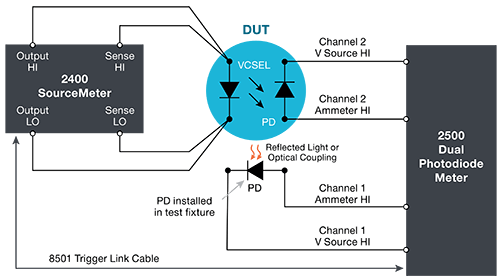 The industry's best DC test system for laser diode (LD) production test, SMU instruments offer high speed and high accuracy for both current sourcing and voltage-current monitoring of laser diode modules, photodiode current. 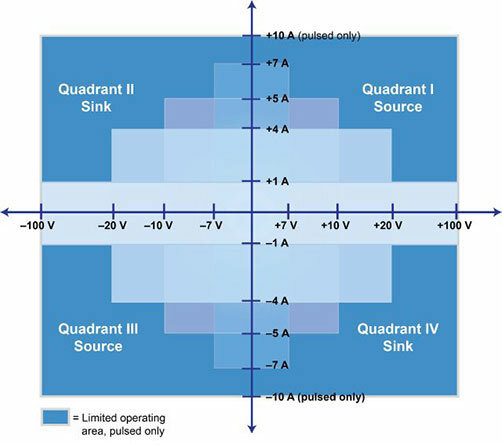 SMUs are the most cost-effective LIV instrumentation with high system synchronization and throughput. SMU instruments are the most accurate, reliable, and convenient way to characterize and validate sensors and transducers that can generate and measure ultra-low and low voltage or current signal during sleep and active states of operation. SMUs offer the widest operating range, sensivity, speed and accuracy to minimize false readings and test with confidence. The Model 2461 Quick Start Guide provides unpacking instructions, describes basic connections, reviews basic operation information, and provides a quick test procedure to ensure the instrument is operational. Model 2450 Interactive SourceMeter Instrument Reference Manual includes advanced operation topics, maintenance information, troubleshooting procedures, and in-depth descriptions of programming commands. 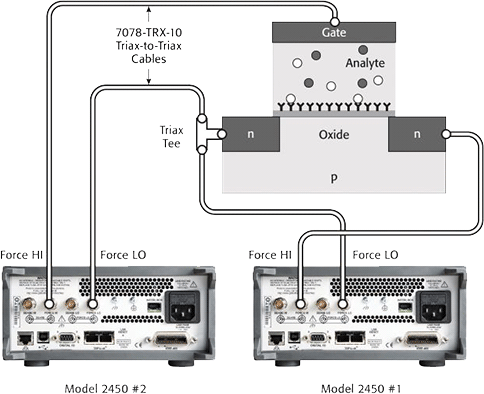 Model 2460 High-Current Interactive SourceMeter Instrument Reference Manual includes advanced operation topics, maintenance information, troubleshooting procedures, and in-depth descriptions of programming commands. This manual presents calibration information, adjustment information, and command descriptions for the calibration and adjustment commands. Model 2460 High-Current Interactive SourceMeter Instrument User's Manual provides general information about the instrument. It also provides application examples that you can use as a starting point to create your own applications. Model 2460 High-Current Interactive SourceMeter Instrument Quick Start Guide provides unpacking instructions, describes basic connections, reviews basic operation information, and provides a quick test procedure to ensure the instrument is operational. Model 2450 Interactive SourceMeter Instrument Quick Start Guide provides unpacking instructions, describes basic connections, reviews basic operation information, and provides a quick test procedure to ensure the instrument is operational. This document describes the existing Model 2461 user documentation and the differences between the 2461-SYS and the 2461. This French-language document contains the warnings that appear in the Model 2460 Reference and User's Manuals.